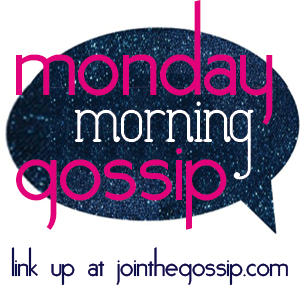 Today I'm gossiping about 7 Cardinal Rules for Life. I came across this on pinterest a few weeks ago and it really spoke to me. Since the start of the New Year, I made it appoint not to be so "negative" as JenniSixx says. Sometimes, I get so discouraged that I become quite negative. I have been trying to follow the rules above. And I can honestly, say that they are all so TRUE. How you look at things really makes a difference. I'm trying to be more positive. Things don't always go as plan and that's ok.
My life hasn't quite turned out as I had hoped but that's no reason not to keep trying. Having a positive attitude does really make a difference. Thanks for teaching me that JenniSixx. 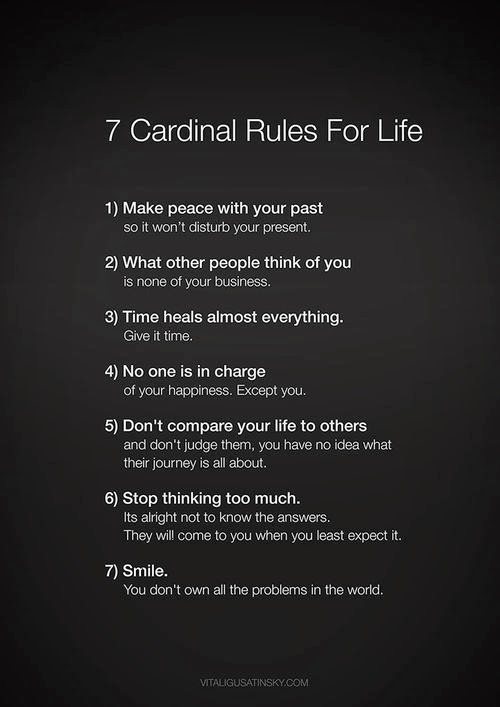 What cardinal rules for life do you follow?? Love this!!! I think I have it pinned too. UGHHH!! I LOVEE THIS!! thank you for sharing this!! #2 & #4.. especially with blogging.. you get so many "nasty nellies" i mean what ever happened to just getting along.. or if you have nothing nice to say say nothing at all?? doesn't apply when everyone's hidden behind a computer!